Fabulous wooden cutlery with chevron design. The cutlery set is perfect for picnic and parties! Can be used for birthdays, baby showers, garden parties, any celebration! 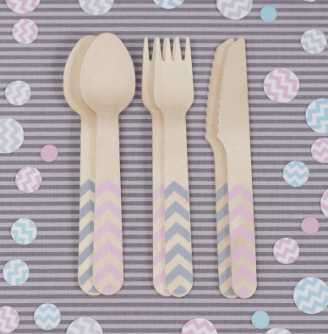 Pack comes with 18 pieces of cutlery, knife, fork and spoons in pink and grey chevron.